The PTO helps with the funding of many programs and activities at the school. A few examples are the Scholastic Reading Counts Program, our Primary Reading Tutor Program, Camp Reed for 6th grade students, Adventures in Art, and many other activities that benefit our students. Please plan on helping the PTO continue these programs by supporting our fund-raiser this spring. The PTO has also found more ways for parents and supporters of the school to help fund programs and receive school support items. Amazon donates 0.5% of the price of your eligible AmazonSmile purchases to the charitable organization of your choice. You have to go to smile.amazon.com (rather than just amazon.com) every time. On your first purchase, you will need to set your charitable organization to Brentwood Elementary School PTSO(note Amazon is still under the old PTSO rather than PTO). *AmazonSmile and the AmazonSmile logo are trademarks of Amazon.com, Inc. or its affiliates. Fred Meyer Rewards cards earn money for the school without spending an extra money. Just register your rewards card here: Fred Meyer Rewards Program. You will still earn your own rewards, gas points, etc., just as you do now, but in addition, the school will receive funds. For more information, click here. 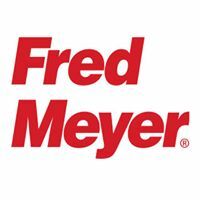 *Fred Meyer and the Fred Meyer logo are trademarks of Fred Meyer, or its affiliates. By saving and turning in General Mills Box Tops for Education, the school receives a check from General Mills. A collection box is located near the front office throughout the year. 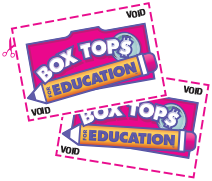 *Box Tops 4 Education and the Box Tops 4 Education logo are trademarks of General Mills, or its affiliates. Funds for our school from everyday purchases. the school has an account at eScrip that earns our school money for the everyday purchase you make at participating retailers. You need to create an account at eScrip and also have a store card from retailer, for example Safeway and Yokes. Sign up on line today and start shopping! *eScript and the eScrip logo are trademarks of eScrip, or its affiliates. If you have a Target Guest Card, you may designate the school and Target will donate 1% of your purchases to our school. *Target and the Target logo are trademarks of Target, or its affiliates.